PULLMAN, Wash. — Lia Galdeira scored 27 points as Washington State beat its second ranked opponent this season after edging No. 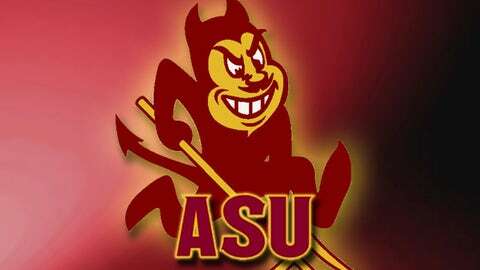 24 Arizona State 85-78 Friday night. The Cougars took a 50-45 lead early in the second on a 3-point jumper by Presley. The Sun Devils kept it close — coming to within one point of tying the game — but were never able to regain the advantage. Tia Presley had 17 points for the Cougars (7-6, 1-0 Pac-12). Sage Romberg scored 10 points and Mariah Cooks added 11. Arizona State jumped to an 11-2 advantage early in the first period on the shooting of Kelsey Moos, Eliza Normen and Joy Burke. Washington State answered with an 18-5 surge to lead 30-28 with just over four minutes left before halftime. Moos scored 17 points for the Sun Devils (11-2). Arizona State was one of three schools entering the night with only one loss.